Five-person tent, or tiny mobile cabin? The Super Wanderer offers comfortable living space thanks to vertical walls and a vestibule that coverts to an awning. 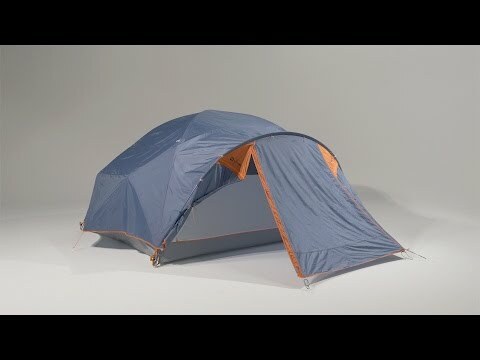 Outfitted with 15% more living space than the Wanderer 4, this tent is made for family trips and group camping. Colour-coded poles make it simple to set up. Internal stash pockets keep everyone's gear organized and accessible. Hubbed pole structure with 2 brow poles creates near vertical side walls to give you lots of livable interior space. Colour-coded poles and clips allow for fast set-up. Spacious hooped vestibule keeps grimy gear, clothes, or pets out of the main tent. Prop up the front with trekking poles or paddles to create an awning. Back door provides additional exit options for minimal nighttime disturbance. Vents in the canopy, fly, and vestibule for comfort in warmer weather. Lots of internal stash pockets to keep everyone organized. Cinch-down style stuff sack makes packing up simple and fast. You’ll be done before your second cup of coffee. Includes 17 DAC J-stakes, guylines and a tent pole repair splint.